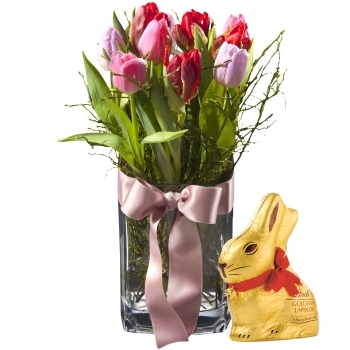 Fleurop and LINDT - a sensational partnership! 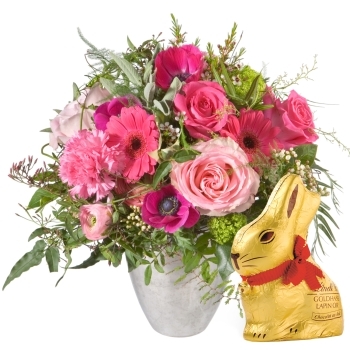 Flowers and chocolate - a sensual combination and the perfect match. 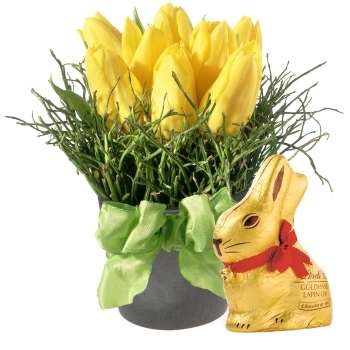 Fleurop and LINDT - business customers will benefit from this new alliance. 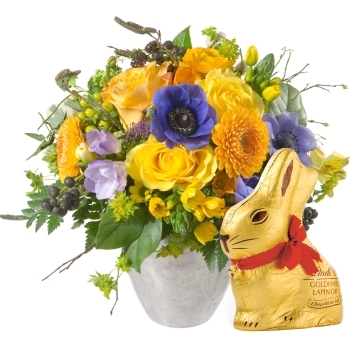 Choose colourful flowers together with a 200g LINDT gold bunny. A unique Easter gift that will long be remembered. Further examples on request or in the Webshop for corporate customers.